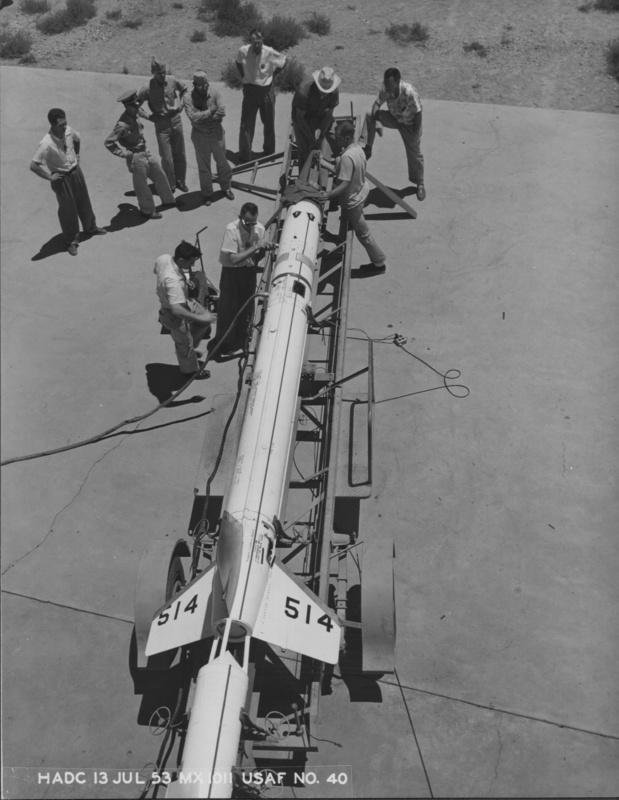 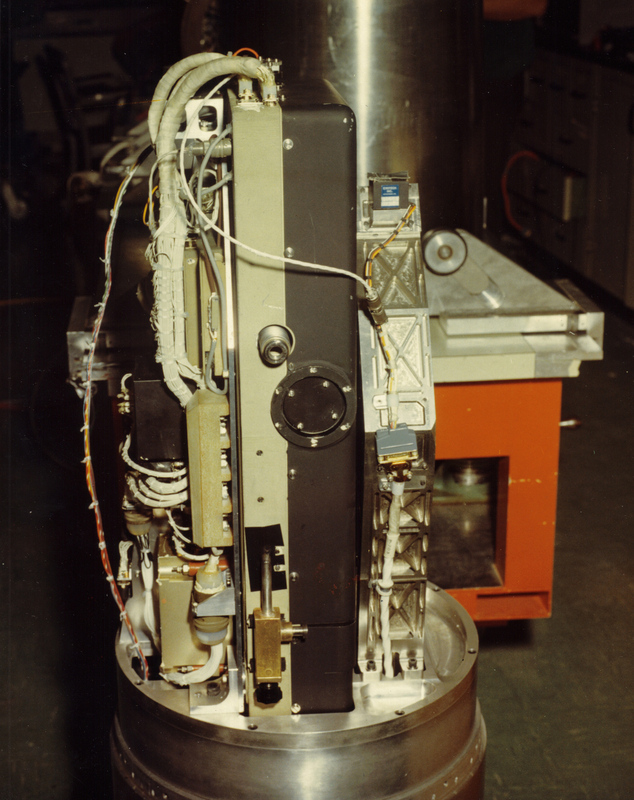 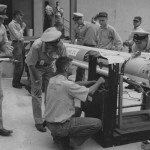 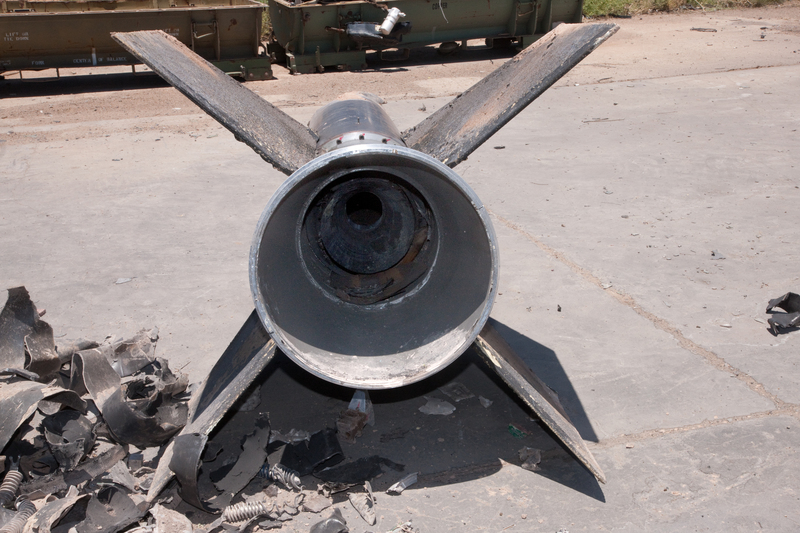 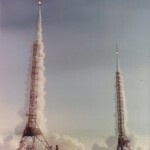 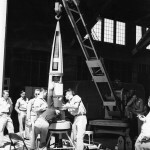 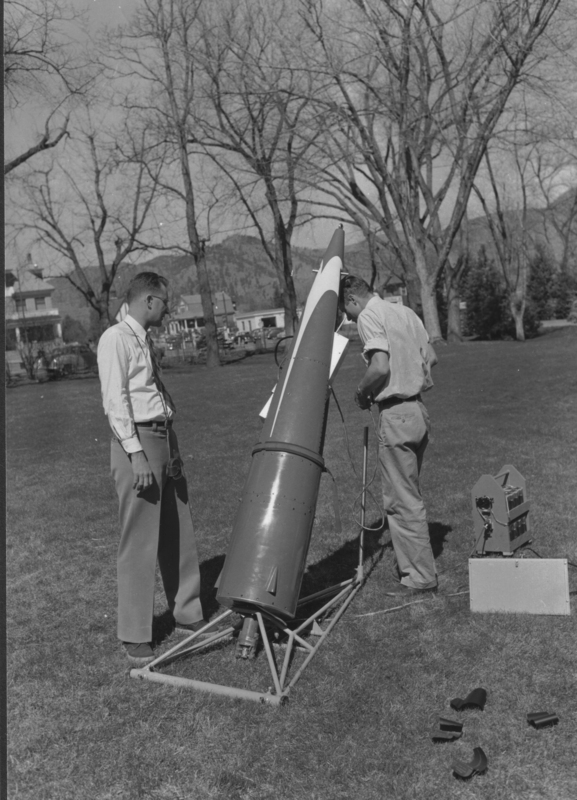 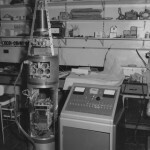 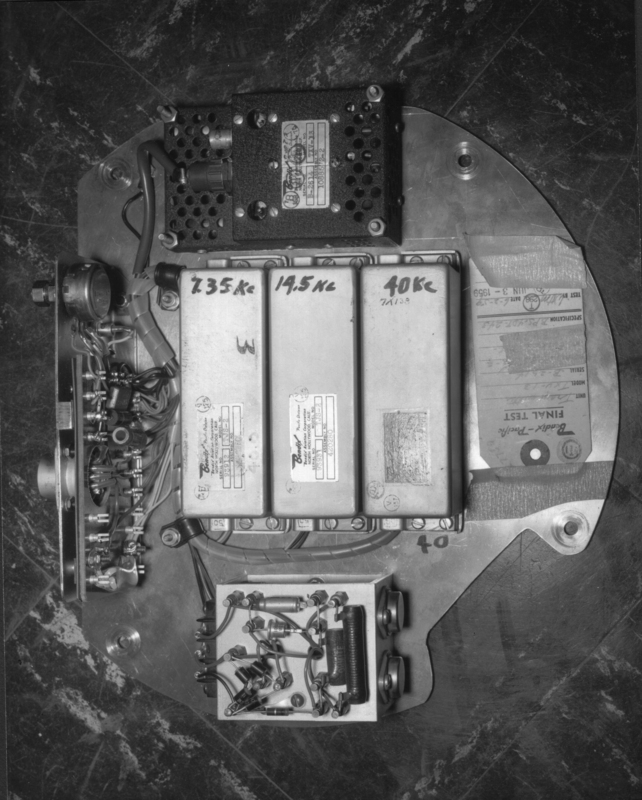 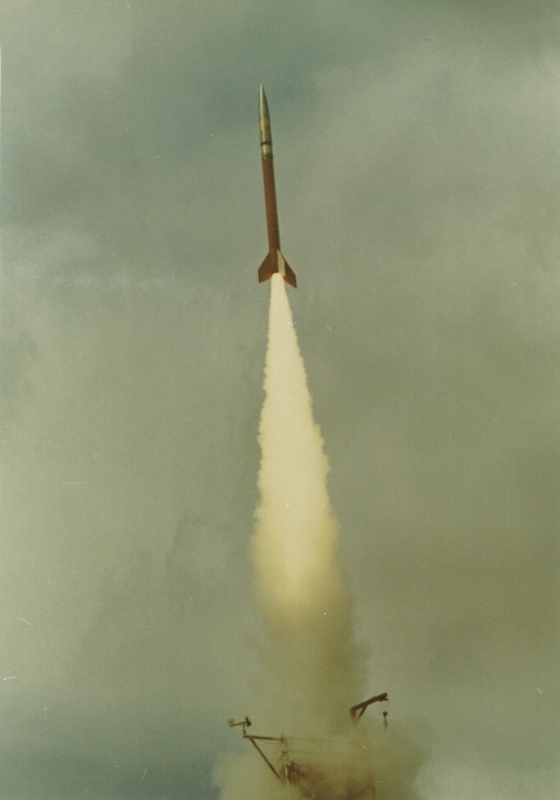 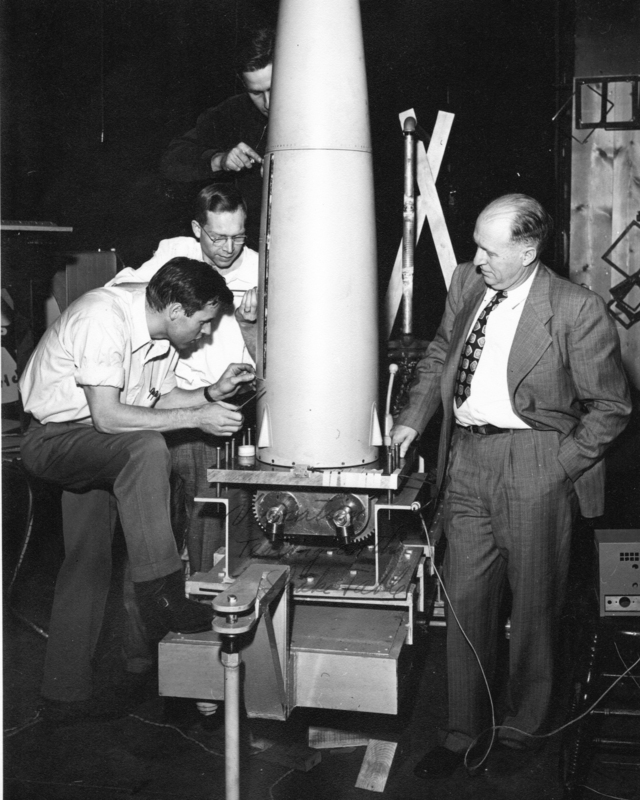 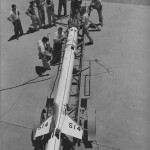 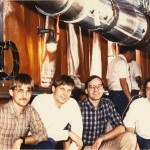 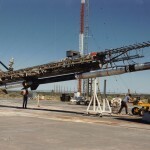 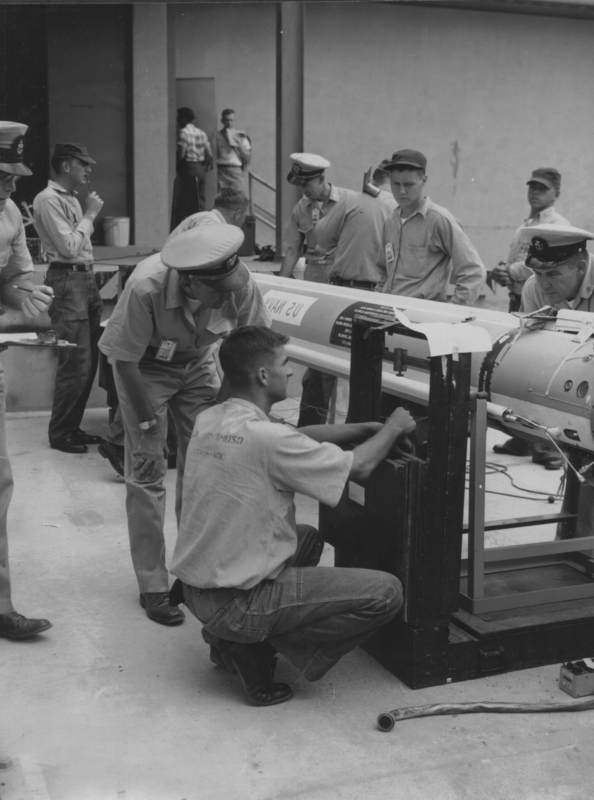 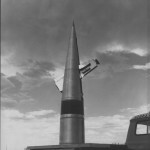 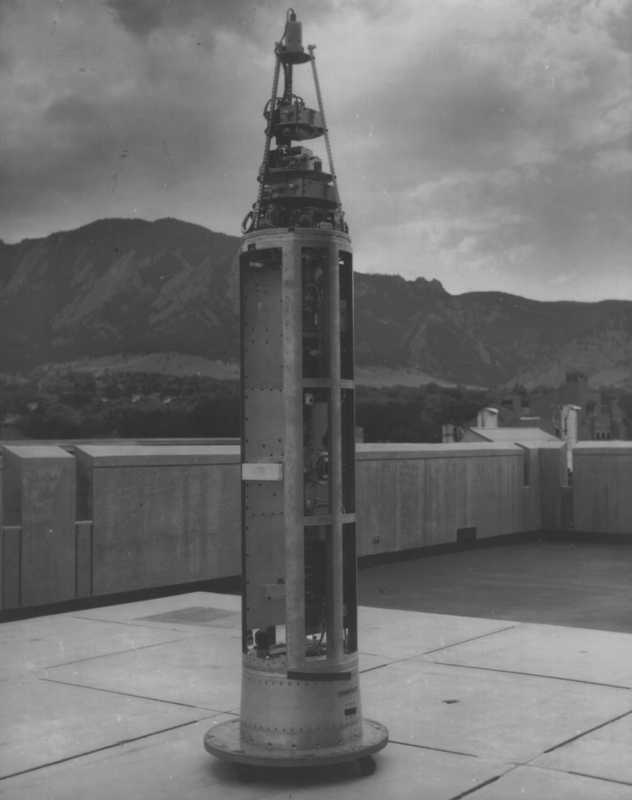 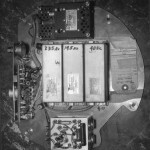 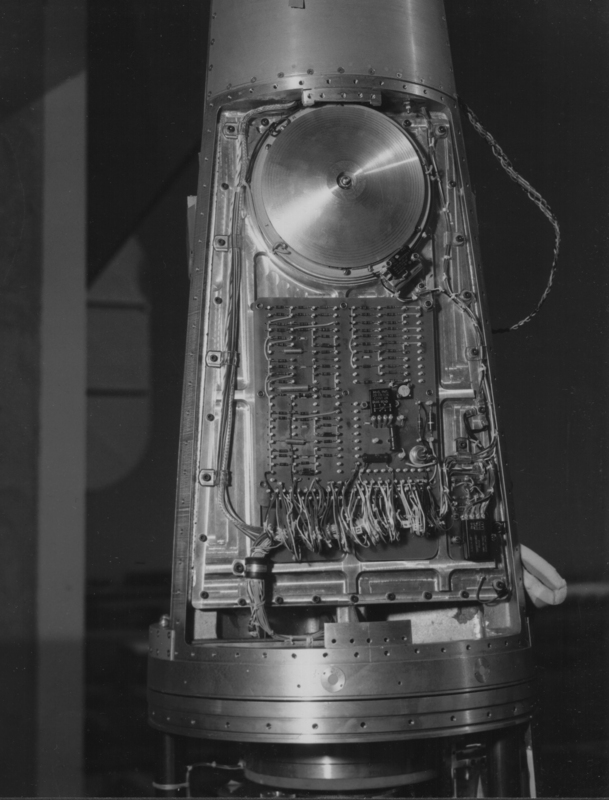 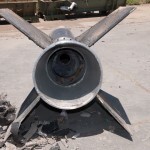 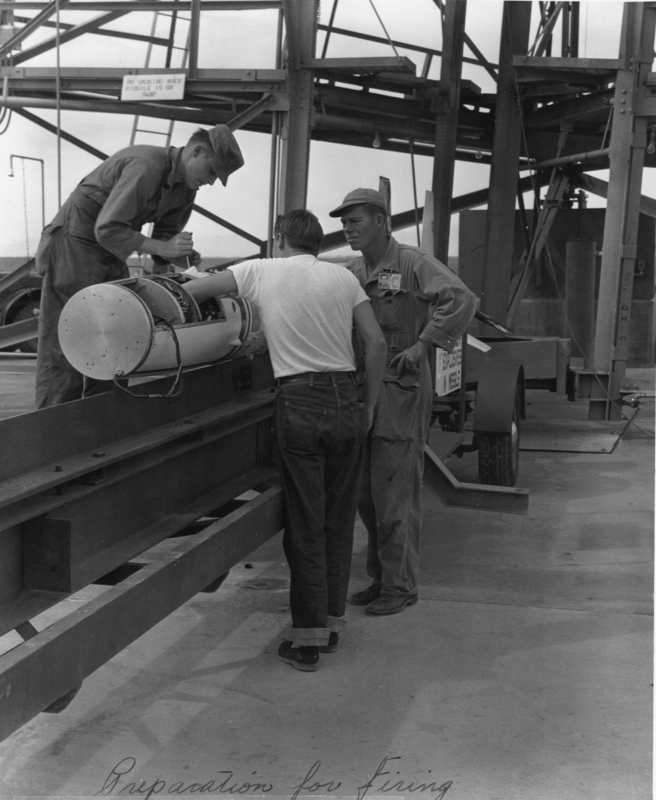 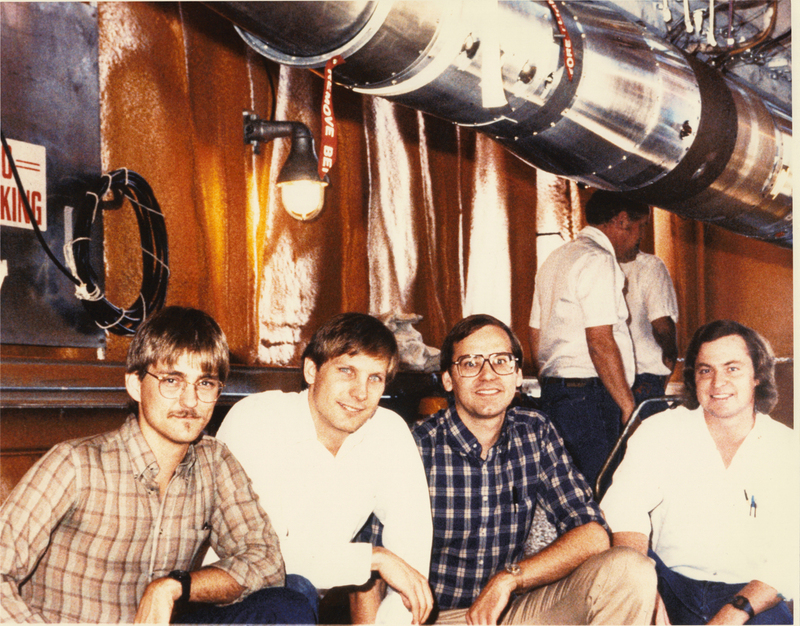 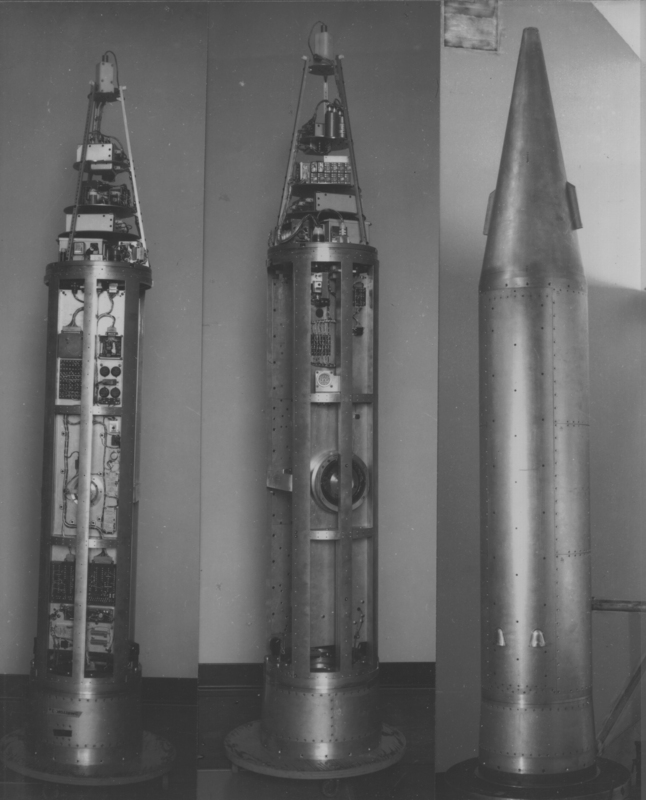 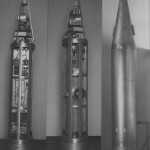 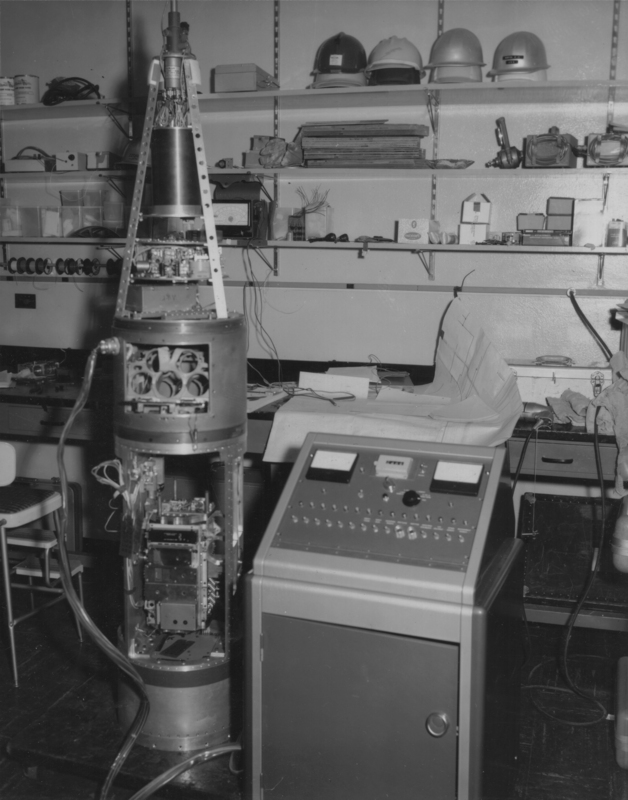 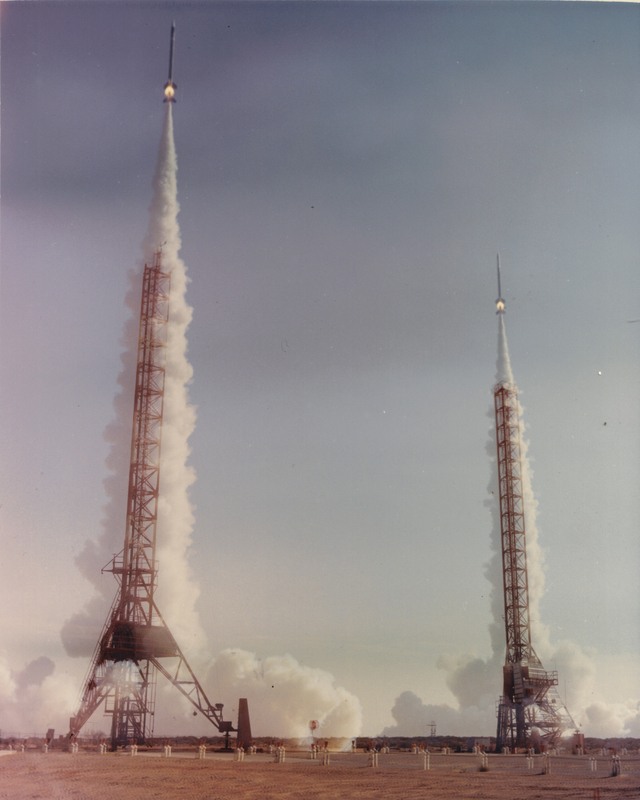 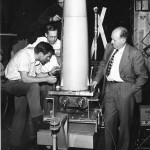 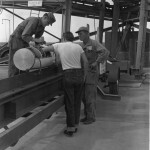 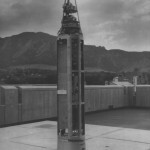 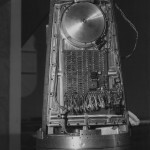 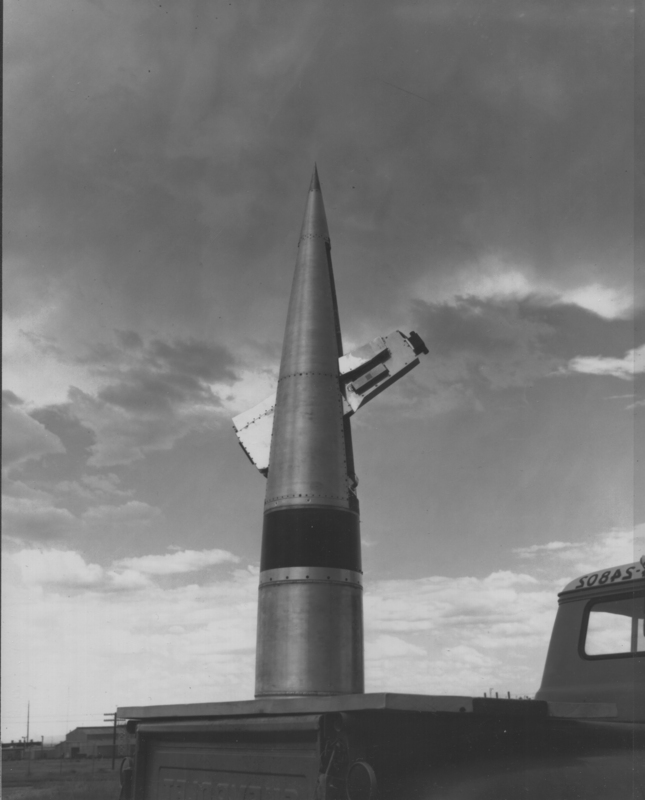 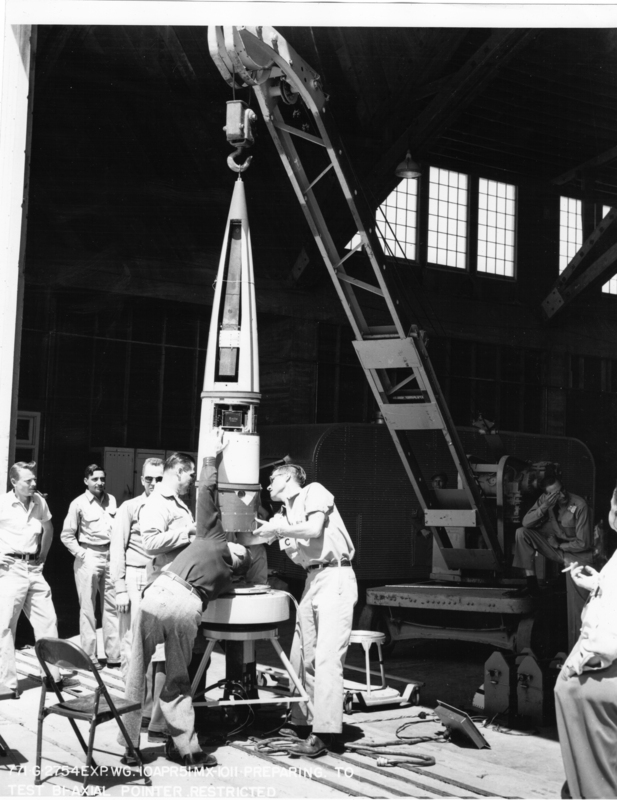 This page archives images and videos related to the LASP Rocket Program. 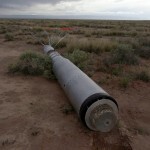 All media are courtesy LASP. 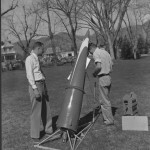 Please click on the thumbnail images to view the full-sized photographs. 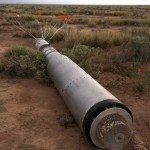 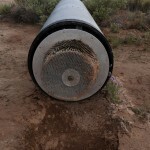 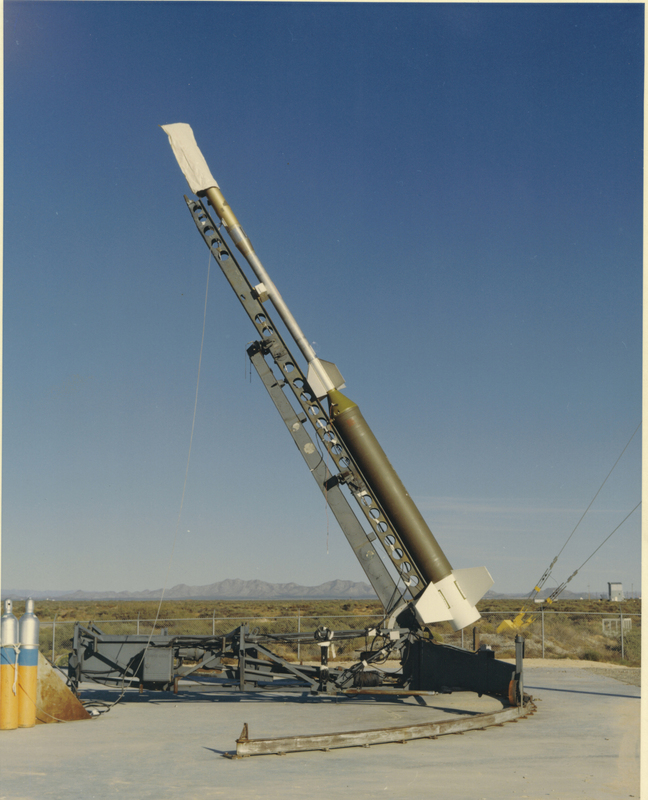 The following LASP sounding rocket launch videos were recorded from the White Sands Missile Range in New Mexico. 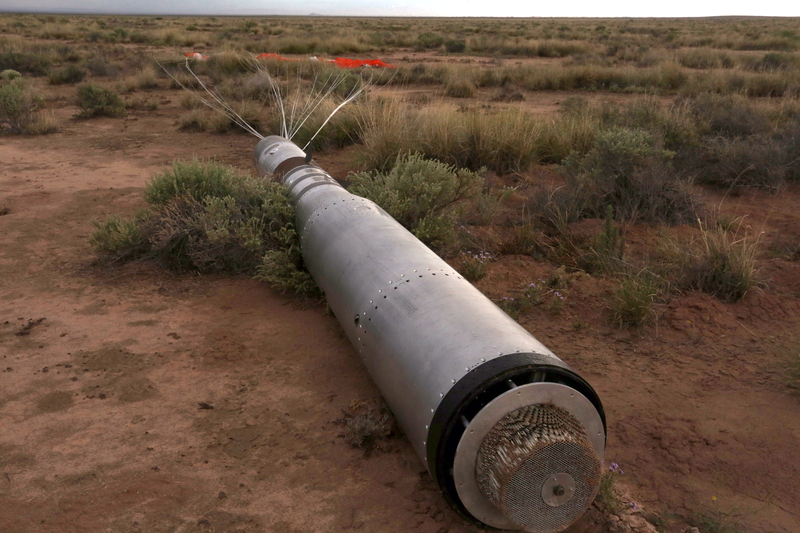 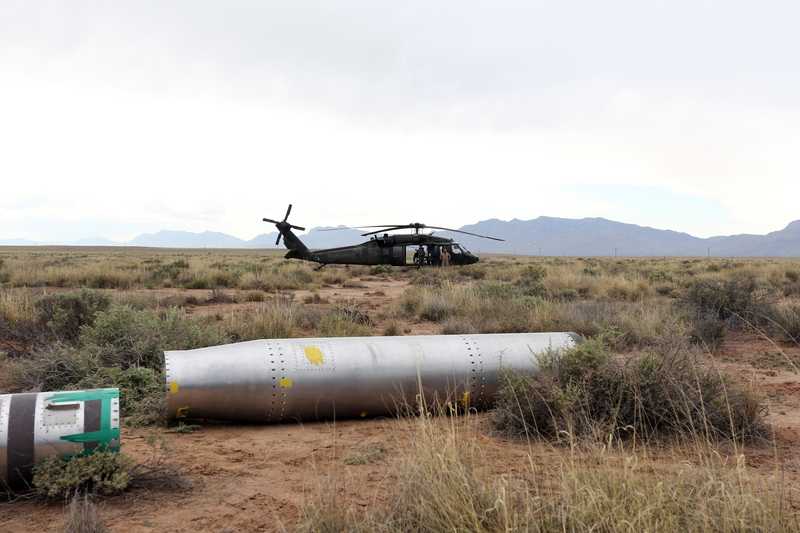 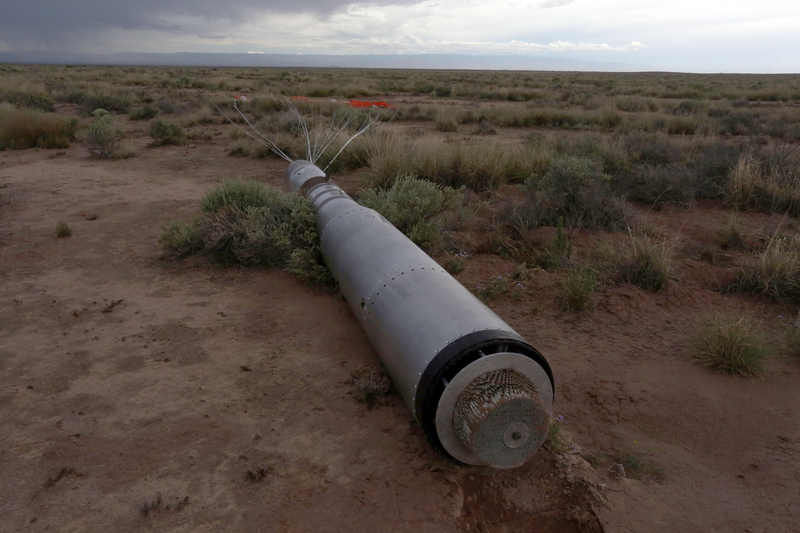 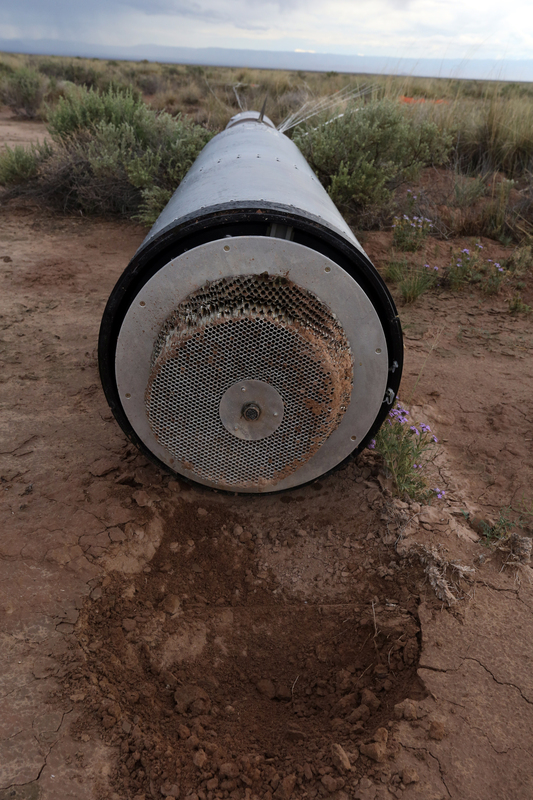 The NASA 36.336 Terrier-Black Brant sounding rocket was launched successfully from White Sands Missile Range, NM on June 18, 2018. 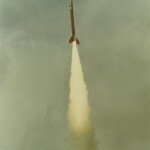 This accelerated video shows footage from the two onboard cameras. 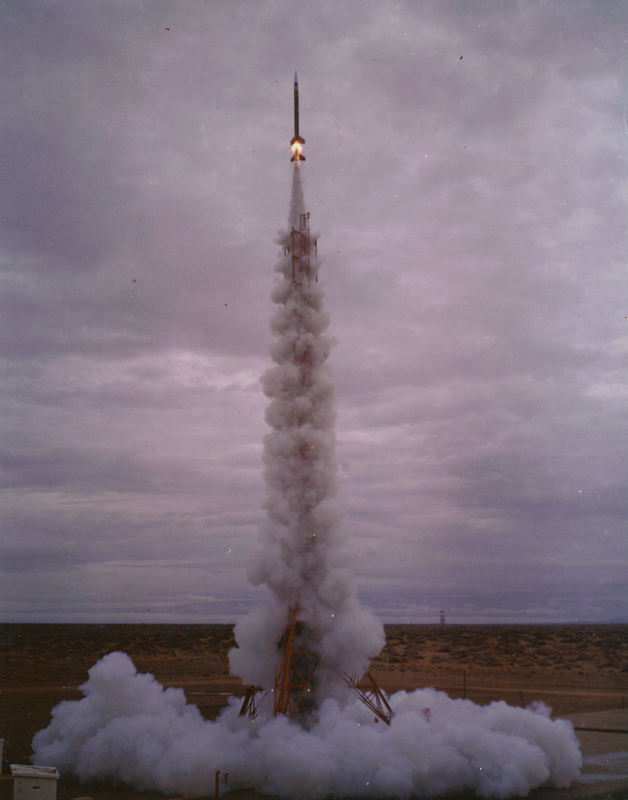 The real-time sounding rocket flight duration was ~16 minutes. 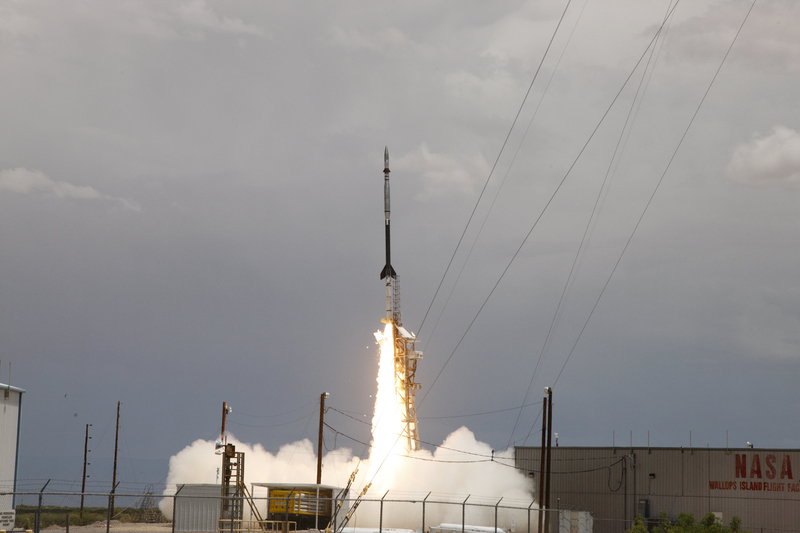 This was the 7th rocket for the SDO/EVE underflight calibration program. 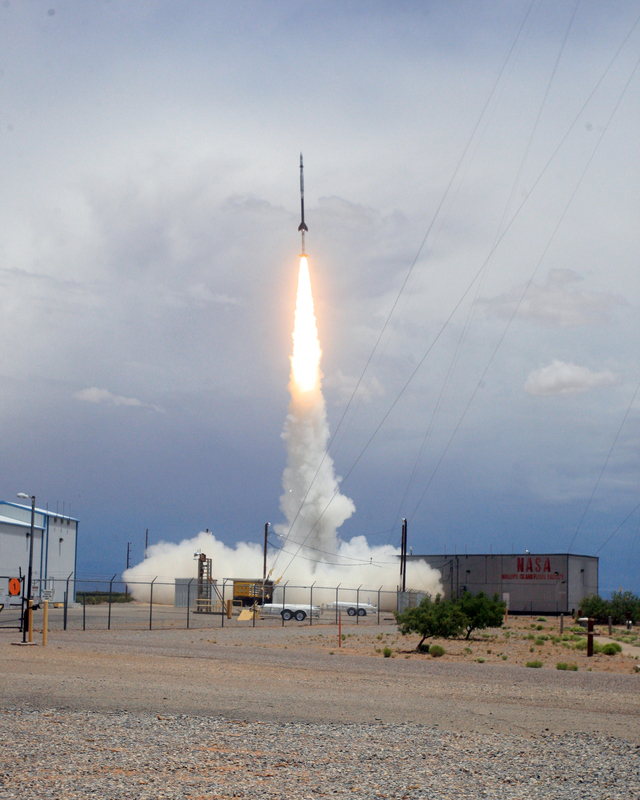 The following is raw onboard video of the NASA/LASP 36.318 (794 KB PDF) sounding rocket launch and flight, which provided the fifth underflight calibration of the Extreme ultraviolet Variability Experiment (EVE) onboard the NASA Solar Dynamics Observatory. 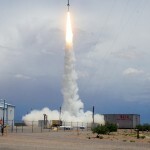 The following video is of the NASA/LASP 36.300 launch on May 21, 2015, which was intended to provide the fifth underflight calibration to the Extreme ultraviolet Variability Experiment (EVE) onboard the Solar Dynamics Observatory (SDO). 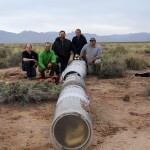 Unfortunately, the rocket had to be terminated 17 seconds into the flight due to a misaligned stabilization component, which was steering the rocket off course. 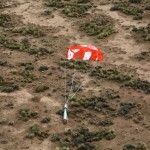 The payload with the science instruments returned to the ground safely on the parachute. 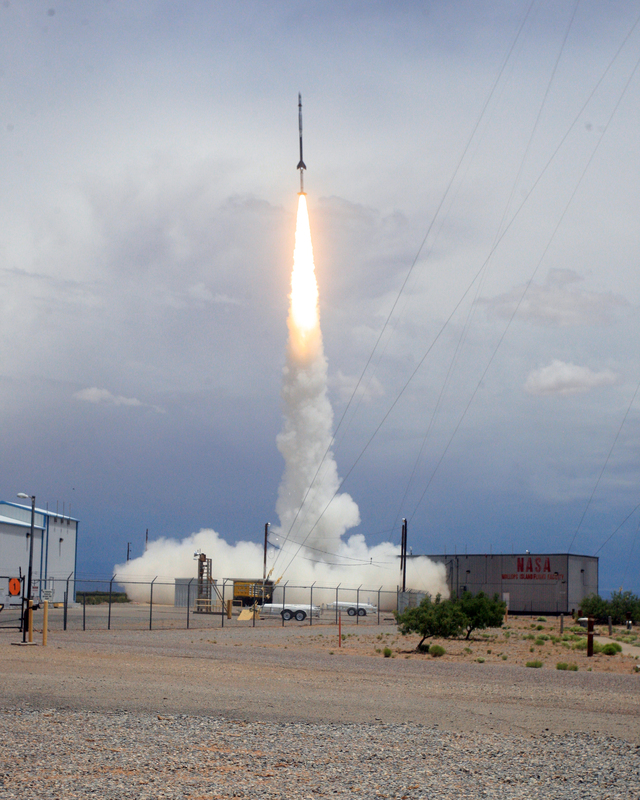 The following video is of the NASA/LASP 36.290 launch on October 21, 2013, which provided the fourth underflight calibration of the Extreme ultraviolet Variability Experiment (EVE) onboard the Solar Dynamics Observatory (SDO). 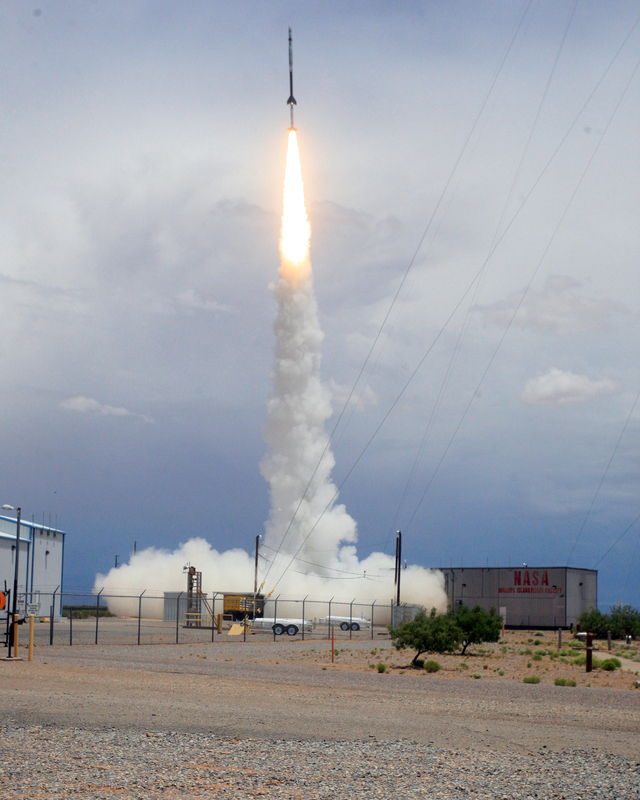 The following video is of the NASA/LASP 36.286 launch on June 23, 2012, which provided the third underflight calibration of the EVE instrument onboard SDO. 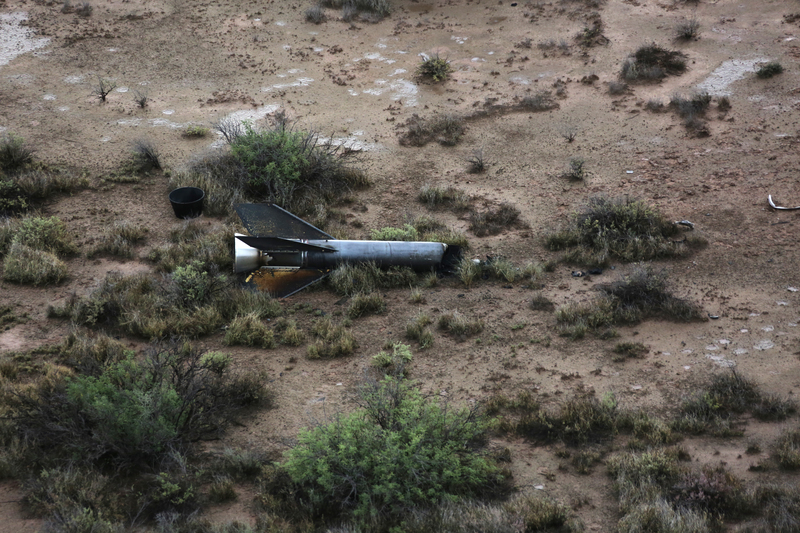 For a summary report of this flight, please visit woods_36286_flight_summary.pdf. 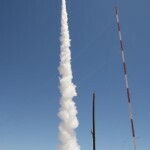 The following video is a shortened version of the NASA/LASP 36.286 launch on June 23, 2012 (full video above), which provided the third underflight calibration of the EVE instrument onboard SDO. 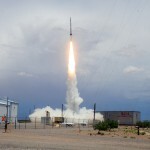 This shortened version of the video includes a graphic (at :43) of solar EUV and x-ray irradiance measurements from the sounding rocket payload that were used to calibrate the SDO EVE flight instrument. 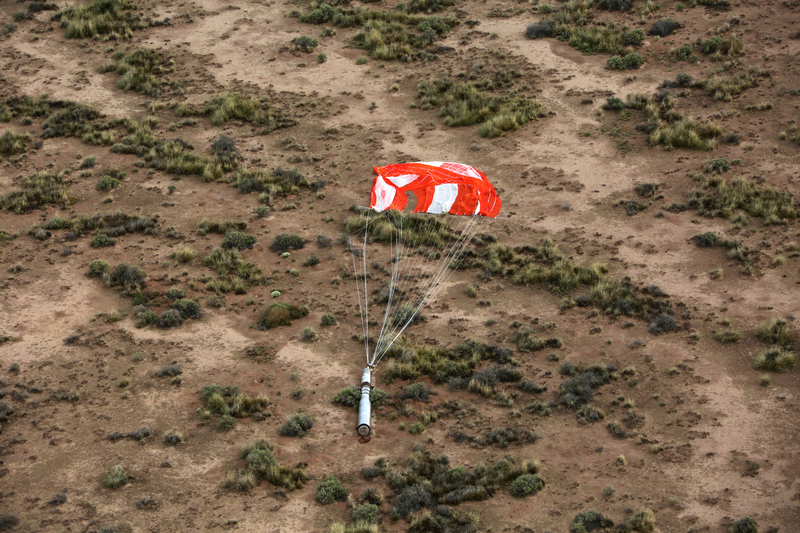 The following videos of NASA/LASP flight 36.275 were recorded on March 23, 2011. 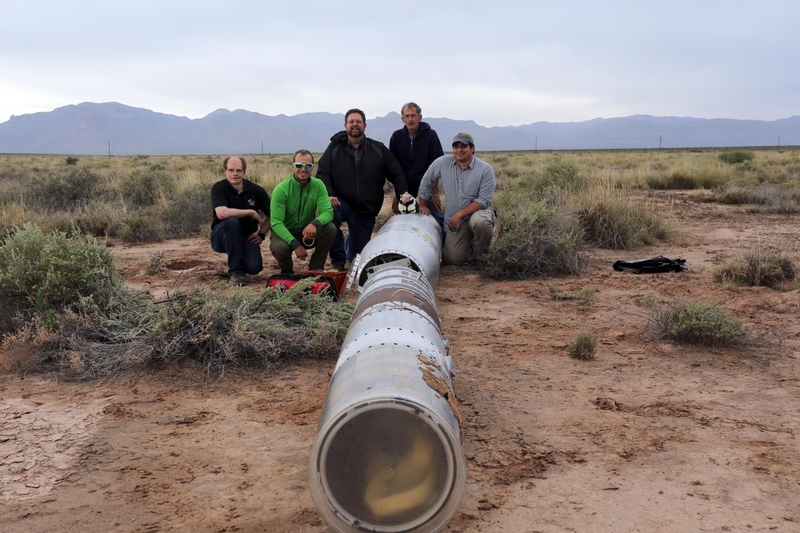 This sounding rocket flight provided the second underflight calibration of SDO/EVE. 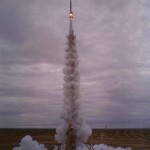 The following video shows the launch of NASA/LASP flight 36.258 on May 3, 2010. 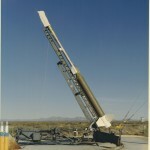 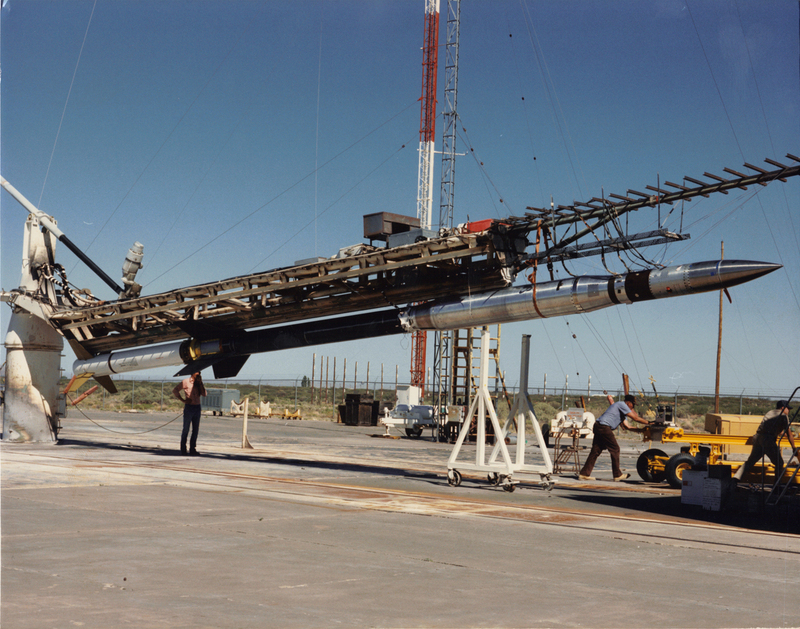 The purpose of this sounding rocket flight was to perform the first underflight calibration of the SDO EVE instrument. 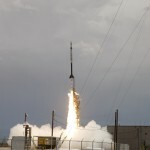 The following video is of the NASA/LASP sounding rocket flight 36.240, which launched on April 14, 2008. 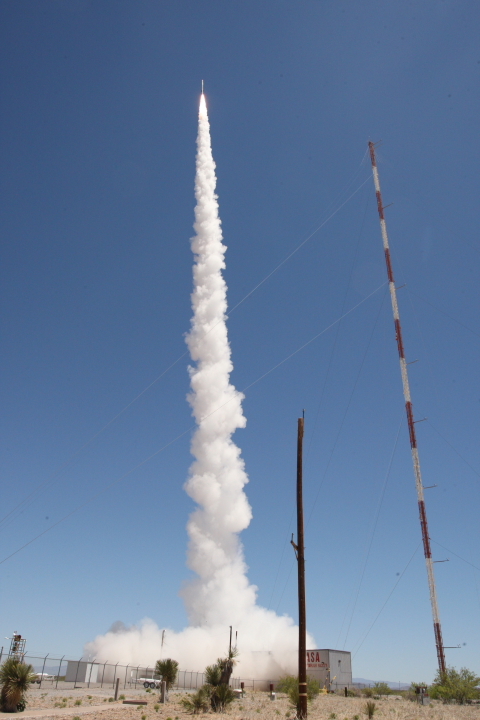 This launch provided the fifth underflight calibration of the Solar EUV Experiment (SEE) onboard the Thermosphere, Ionosphere, Mesosphere Energetics and Dynamics (TIMED) mission. 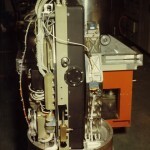 The LASP-built SEE instrument measures solar extreme ultraviolet radiation. 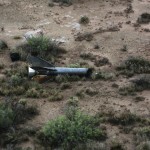 For a summary report of this flight, please visit http://onlinelibrary.wiley.com/doi/10.1029/2008GL037145/abstract;jsessionid=14204509E405F32D0DCF7934315E78C8.f03t02.